Order your Antelope Audio Orion 32 HD USB and MADI AD/DA from AMS and enjoy 0% Interest Payment Plans, Free Shipping, Free Extended Warranty & 45 Day Money Back Guarantee. Orion32 HD is the newest addition to the Orion family. Compatible with any DAW on the market via HDX port or USB 3.0, this new Pro Tools HD and Native interface offers everything Antelope Audio stands for. Zero latency Monitoring, I/O streaming of 64-channel 192 kHz audio, Antelope’s industry-leading clocking, and pristine AD/DA conversion. Orion32 HD’s analog I/O is handled by 8 DB25 connectors, accompanied by MADI, ADAT and S/PDIF connectivity. 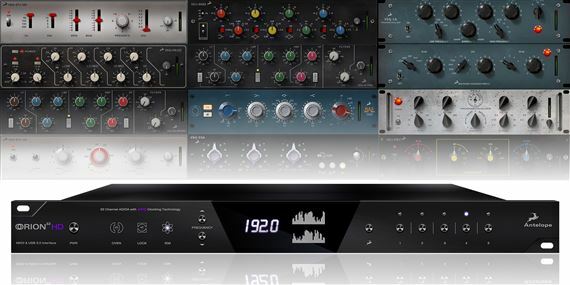 Orion32 HD features a fine selection of vintage FX powered by Antelope Audio’s innovative Field Programmable Gate Array (FPGA) technology bringing modeling of legendary vintage gear to a whole new level. The unbeatable clocking accuracy of Orion32 HD is provided by Antelope’s renowned 64-bit Acoustically Focused Clocking (AFC) jitter management technology. Antelope’s clocking is known the world over with a 20 year reputation for excellence in both stability and sonic improvement. Transients will shine like never before, you’ll achieve a stereo image with incomparable depth and detail. And that sparse and crystal clear high-end… Yes, we’re talking sonic perfection just like in our game-changing OCX HD and Trinity master clocks. 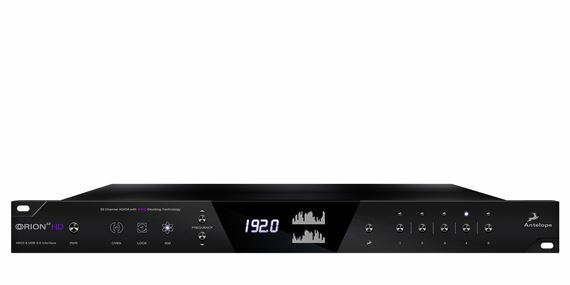 The proprietary FPGA is the heart and soul of all Antelope Audio interfaces and is included inside Orion 32 HD. 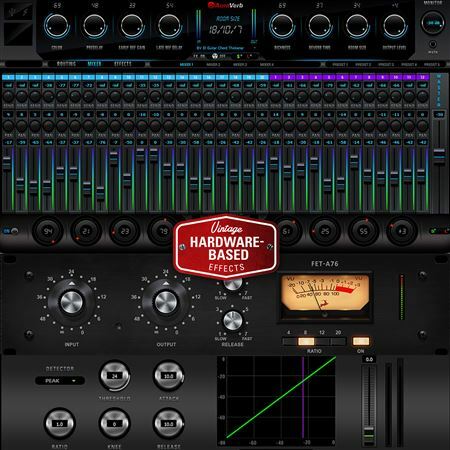 Allowing you to use Antelope’s integrated and ever-growing library of hardware-based vintage EQs, compressors and of course AuraVerb. 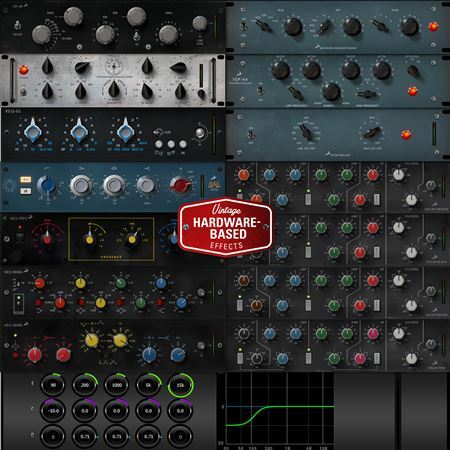 The exquisite collections of Vintage EQ’s include authentically models of Lang PEQ-1, BAE 1073, 1084, 1023, UK-69 and many other classic British and German vintage units. 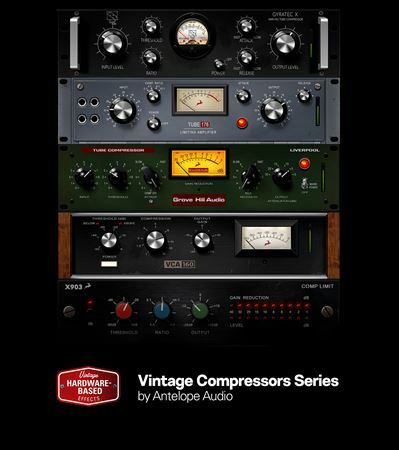 Vintage Compressors begin with the life-like model of the FET76 and many more are soon to be available, FREE to all new and registered users of Antelope’s growing line of world class interfaces.